The winter sports holiday is approaching and Uppsala University is preparing lots of activities for children and young people. Paint with watercolours in the Tropical Greenhouse, learn more about art in Egypt or go on an adventure of discovery at the Museum of Medical History. There is a lot to choose from. “We see the winter sports holiday activities as a good way to reach a younger audience and sow a seed that hopefully may lead to a future interest in both history and medicine”, says Urban Josefsson, Museum Director at the Museum of Medical History. 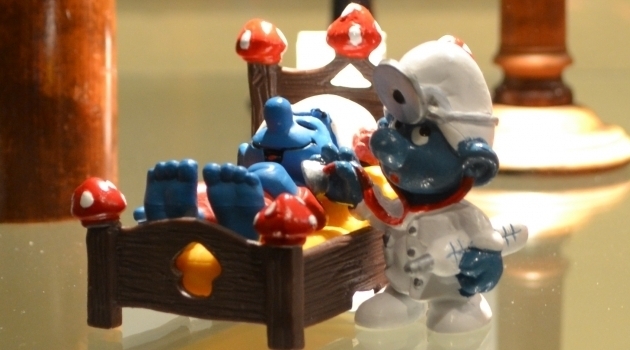 The programme includes the Smurf Quest, where you need to find smurfs that have been placed in different display cases in the museum and answer questions connected to what the smurfs are doing and what objects are in the display cases. The programme also includes Abrakadabra, where visitors get to learn about the role of magic in ancient medicine and make their own plaster amulets. “We have been organising winter sports holiday activities for many years, but in recent years we have extended them so that we now are open between 13:00 and 16:00, Monday to Friday throughout the holiday week. The activities are usually popular and the number of visitors has increased each year”, says Urban Josefsson. At the Botanical Gardens there is a course in watercolour painting, in collaboration with teachers from Uppsala University's art rooms. 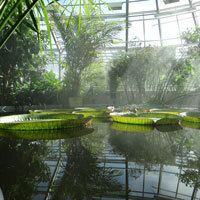 The teachers will be available for two hours per day in the Tropical Greenhouse. “In the greenhouse it is pretty easy to paint a picture of the plants with watercolour pens. Visitors will be given a writing board each and a plastic bottle filled with water and they can paint standing up by a plant. The results are good and it is not too advanced”, says Lotta Saetre, Communications Officer at the Linnaean Gardens of Uppsala. They usually organise activities in the autumn, winter and Easter school holidays and usually have been 200 and 400 visitors each holiday. “We have different themes each year, and this year we are working with sprouting onions and bulbs. We will have some plants displayed that you can find inspiration in”, says Lotta Saetre. 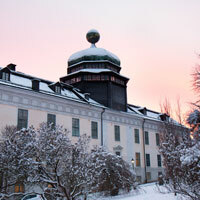 At Gustavianum, Uppsala University Museum, children on winter sport holiday can learn more about art in ancient Egypt. How were people, animals and different situations depicted? “Our holiday activities are open for families, children and young people. Even those who do not speak Swedish, as we view visiting research fellows and their families as an important group of visitors”, says Cecilia Ödman, Chief Curator at Gustavianum. Gustavianum’s student guides will provide an introduction to the theme and then there will be an opportunity to make crafts. The museum has a permanent exhibition on Egypt and since it is about the art the visitors will be allowed to get a bit closer and look carefully. “It is important to have an interactive part, to base it in our collections, see them with your own eyes and then process what you have learned in a workshop or activity. It gives you a deeper understanding”, says Cecilia Ödman.